Ford, Vauxhall and Volkswagen were the top-selling car brands in the UK in 2016. Car sales in Britain set a new record high for a calendar year increasing by 2.5% to 2,692,786 new passenger vehicle registrations. German premium brands BMW, Audi and Mercedes Benz gained market share at the expense of the larger mass-market brands. 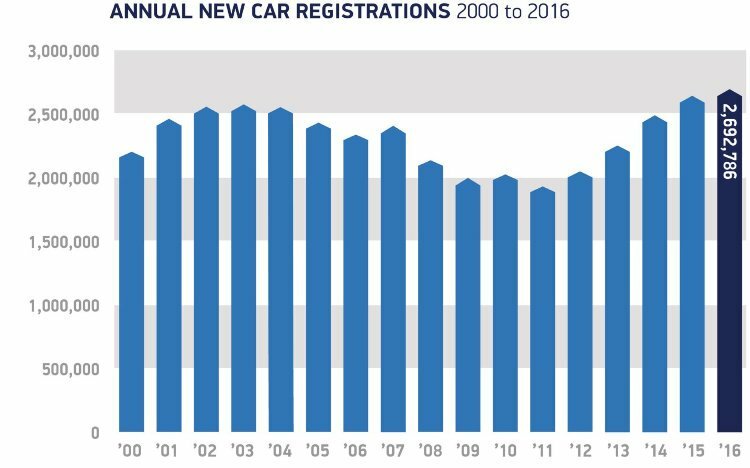 New passenger vehicle registrations in the UK in 2016 were a record high 2,692,786 cars – an increase of 2.25% from last year, which was the previous record. The increase in car sales in Britain is attributed to a growing economy, easy credit and creative financing options, as well as interesting new models. 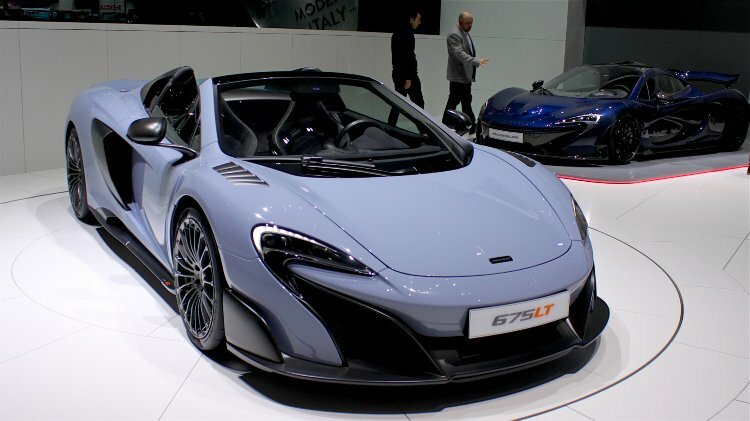 The British new car market is highly competitive with well over 400 models on offer. A further 70 car launches are planned for 2017. However, the outlook for 2017 is less positive with a small contraction expected by many analysts. Political uncertainty due to Brexit and potential price increases due to weakness of the pound may influence the market negatively. * Citroen and DS figures were combined under Citroen until May 2015. There were no changes in the top ten best-selling car marques in Britain in 2016 compared to 2015 with the only rank order change a swap of positions for Mercedes Benz and Nissan. However, the brands had markedly different performances. The top three best-selling car brands in the UK in 2016 remained Ford, Vauxhall and Volkswagen but all three had much weaker sales than a year ago and lost market share in an expanding market. Ford sales were down 5%, Vauxhall down 7% and VW down 7.5%. Each of these top-selling brands lost around 2% market share in the last five years. The sales of so-called premium brands were much stronger: BMW and Audi maintained their fourth and fifth positions from a year ago and Mercedes Benz improved from 7th to 6th. All three brands had strong sales increases with Mercedes Benz selling 17% more cars in Britain in 2016 compared to a year ago – of the top 20 best-selling brands in Britain, only Land Rover performed better. Nissan and Toyota sales were slightly weaker than a year ago while Peugeot sales in Britain were down by 5.5% in 2016. Hyundai was again the tenth best-selling brand in Britain in 2016 with sales up 5%. A strong performance by Kia saw the second South Korean brand moving up from 12th to 11th. The worst performing larger brands: Citroen, Mitsubishi, Volkswagen and Vauxhall. Most-improved brands: Infinity, DS, Jaguar and Abarth. Largest increase in car numbers: Mercedes sold 24,500 more cars than a year ago, BMW 15,000, and Land Rover 13,000. Largest decreases in car numbers: Vauxhall – 18,800, Ford – 17,000, and VW – 16,750. The Ford Fiesta remained Britain’s favorite car in 2016 although sales were down for many of the top-ten most popular car models in the UK.